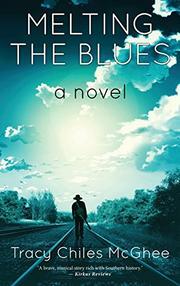 In McGhee’s debut novel, an African-American musician learns that there are many ways to get the blues. Augustus Lee Rivers, a popular bluesman and all-around charmer, finds himself on the wrong side of his community at the beginning of this story, set in the Jim Crow–era American South. After he’s accused by Blind Eye Joe, a respected military veteran, of dishonestly defending the Duncans, a well-to-do white family, against a charge that they underpaid an acquaintance for a job, their conversation devolves into fisticuffs. Soon after, a white man named Peter Duncan offers to fund Augustus’ musical career—if he’ll sign a contract granting the Duncan family the right to his land after his death. Driven by dreams of stardom, Augustus agrees, only to later find out that the terms of the contract weren’t what he was told they were. One day, while fishing with his son, Charles, Augustus runs into Todd Duncan, Peter’s younger cousin, who angrily tells Augustus that his land has already become Duncan property; a scuffle follows, and Todd shoots Augustus in the arm. Fearing further retaliation, Augustus and his wife, Pearl, send Charles away while the rest of the family moves in with a local reverend and his wife. Furious, the Duncan brothers rally at the Rivers’ vacant home and burn it down. The novel’s fiery start declines into a quieter, but still tense, depiction of the Rivers’ circumstances as they get along as best they can in the reverend’s home. Augustus, bedridden, remains mute while his children and wife refashion their lives. Later, the Rivers discover that at least part of the land still belongs to them—and that the Duncans hadn’t been honest about it. Debut novelist McGhee writes in earthy, rhythmic prose, often anthropomorphizing features of the novel’s landscape: “Witnesses in nature, including the trees, the river, and the birds, had seen that Mo had arrived to the edge of the bridge first and therefore had the right of way.” She lays bare a world where racial tension manifests in highly calculated and sometimes murderous interactions. The book is moralistic without moralizing, and no single character holds the high ground for long. Its maturity is exemplified by its knowledge of American history, as the narrative points beyond overt racial violence to the more insidious harm of coerced or deceptive contracts.